Those fired “without any legal justification” worked at the Oscar Danilo Rosales Hospital in the northwestern city of Leon, surgery and endoscopy department chief Javier Pastora told AFP. The hospital is run by the health ministry. The allegation bolstered reports that those perceived to back protest claims calling for the ouster of President Daniel Ortega were being persecuted by his government and sympathizers. 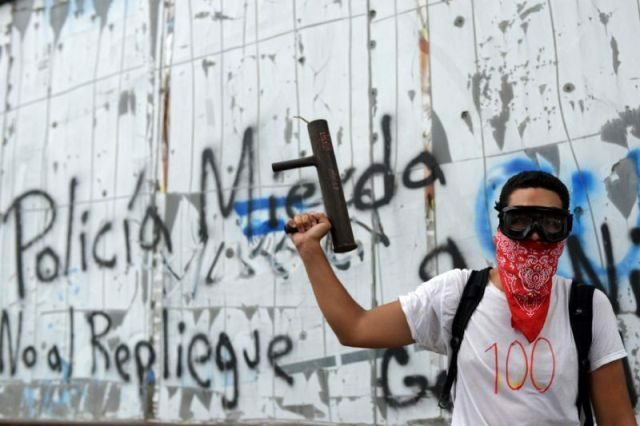 Nicaragua has seen more than three months of unrest as those protests were brutally countered by police and armed pro-government paramilitaries. More than 300 people have been killed and thousands have fled to neighboring Costa Rica for safety, according to rights groups. Pastora, who has worked in Nicaragua’s public health system for 33 years, said the staff members were fired because they were deemed to support the protesters by treating them. “They said we were people showing solidarity and support for the people’s fight,” he said. Pastora said at least nine medical specialists were among those fired. “I was in surgery when they came from human resources to tell me I could no longer stay because I was fired,” said one of the dismissed medics, cancer surgeon Aaron Delgado. They were fired “for thinking differently, for saying Nicaragua needs democracy, freedom, that the repression and killings must stop and there has to be dialogue,” he said. The staff and residents in Leon held a protest in front of the hospital demanding the sackings be reversed. Leon used to be a bastion of support for the Sandinista movement Ortega leads, but as the unrest took hold, there too paramilitaries and anti-riot police have stormed the city several times to crush protests. Rights groups say more than 2,000 people have been hurt across the country since the clashes erupted mid-April. Many of them sought medical attention for their wounds from volunteers outside the state health system, which was said to have received orders to turn them away.